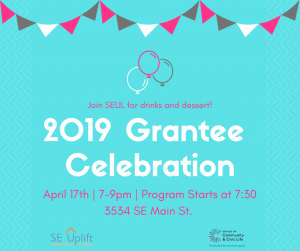 On April 17th, join SE Uplift in celebrating 15 community projects awarded by our 2019 Community & Civic Grants! Desserts and drinks provided by local businesses! 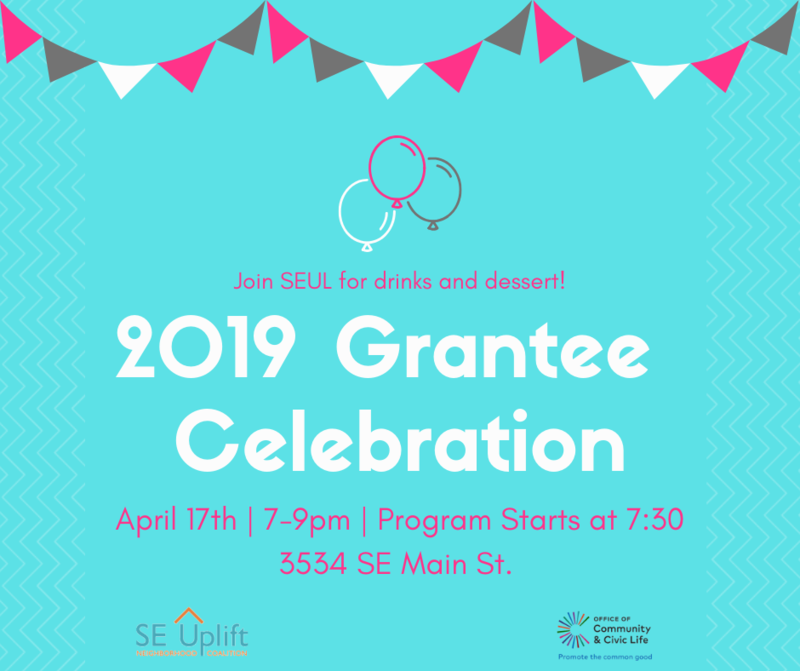 You can RSVP using this link or simply contact Muz at muz@seuplift.org, (503) 232-0010 ext 319. Read more about the 15 grant projects here.